Select the contact that you would like to display the files for. Click the 'My Files' tab. Click the 'My Computer' button. In the panel below, you will be able to view the files on your computer. 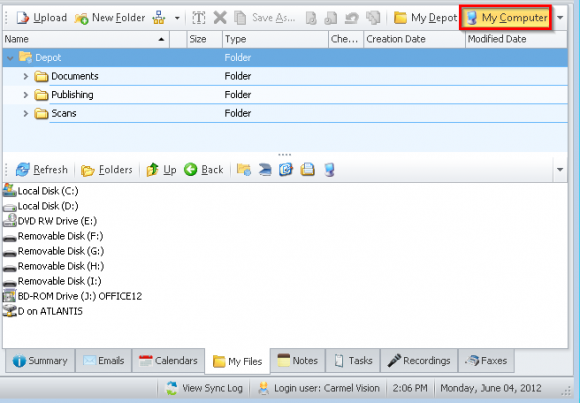 This will allow you to easily drag and drop files into the folders within your contact’s file depot.